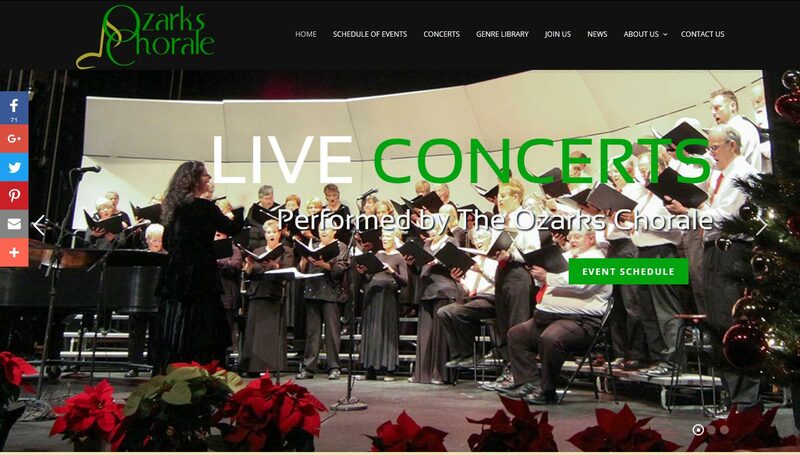 Here in the middle of the summer (apologies to those school children and their families for whom it is almost the end of the summer), the Ozarks Chorale simultaneously seems like a distant, melodious memory as well as an indefinite, faint sound of chords in the future. Our last concert, where we returned our music, gave each other hugs, shared best wishes for the summer, and thanked Beth and Ellen, is months in the past. And our first rehearsal is many weeks in the future. But despite that feeling of distance and ease, some exciting and new things have been happening in the life of the Chorale since our last encore. The biggest, most impactful change has been the renovation, restoration, and revitalization of our Web page. Those who visited our site in the past few years saw a nice format with adequate information and lovely photos of members from the past. The new site, thanks to Mark Greyensteine, leaps off the screen with color, excitement, and layers of important information. 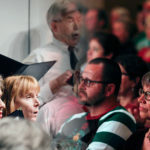 David Bell generously shared photographs from his files with us, and the Web site now displays scenes from recent concerts, as well as new images of Beth Withey, the Chorale’s Artistic Director, and Ellen Stephenson, our accompanist. We now have links to sound tracks from past performances, thanks to Randall Cavanah, and there is a special section featuring some of our best-loved numbers, grouped by genre. The new site went live a few days ago, and will continue to be enhanced as we update text, add descriptive comments, and post blogs like this one that give glimpses into the upcoming season. And it is going to be a glorious season! Beth is ordering new music as I write this, as well as compiling lists of lovely songs from our existing library. Stay tuned – and tune up your voice – for September 18, our first rehearsal.